Assets are the lifeblood of your facility maintenance department and they’re also one of, if not the, largest expense you have. So when your assets break or quit working, you’re faced with the decision of whether to repair them or replace them. It’s important to make the right decision because it can have a large impact on your costs. Knowing how to decide which is best for your operations will help control downtime and unexpected costs. If your asset has broken down once, what are the chances it might break down again? If it’s an older piece of equipment, it might be that it’s starting to fail and could experience another break. 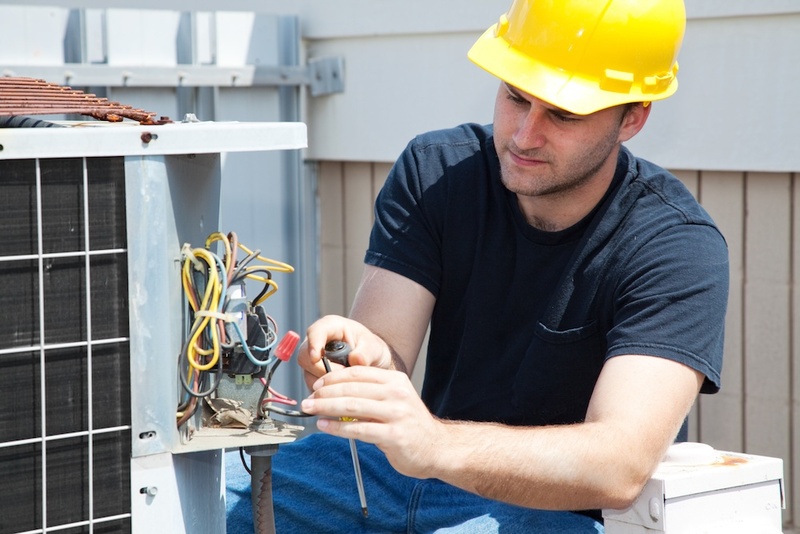 That’s why when you’re deciding whether to repair or replace equipment, you should always consider the potential future cost of repairs as well as the immediate one. Even if the immediate cost to repair your asset is fairly low, if you think the chances of it breaking down again are high, perhaps consider whether you should just replace it. We all know that downtime costs money, so the potential for facility downtime should be a major consideration when you’re deciding whether to repair or replace equipment. Think about how long your downtime might be (and how much of your facility that will impact) for both a repair and a replacement and make your decision accordingly. Remember, a longer downtime can still be worth it if some of the other considerations point you towards that option. When you’re looking into the option to repair equipment following a breakdown, one of the most important considerations is what the quality of that asset will be post-repair. Sometimes, especially when the asset has already been repaired a few times, it can decrease in quality following a repair. So, you have to remember to think about what the quality of your equipment might be post-repair and how that can impact your operating costs and ROI. Sometimes, a new piece of equipment isn’t exactly the same as the one it has replaced. Upgrades and manufacturer changes happen, and they can create a need to re-train maintenance technicians on how to repair it and even other employees on how to use it. When it comes to deciding whether to repair or replace an asset, what kind of time and costs might be required to train people on a new asset. If you decide to replace your equipment rather than repair it, there will be some costs associated with disposing of the old asset. In particular, things like refrigerators and other assets require more careful and costly disposal than just throwing them in the garbage. The opposite of the previous consideration, when you decide to replace an asset that has broken down, there will be installation costs associated with putting in the new equipment. Just like disposal as well, some pieces of equipment will requite a more extensive and expensive installation process. The key to being able to make a proper decision about whether to repair or replace an asset is effective asset tracking. You need to be have a clear picture what your assets have cost you so far, what their repair history is, when they were purchased, and what their life expectancy is. After all, predicting asset performance can help save your organization thousands of dollars every year. An Asset Tracking System has many benefits, including keeping up with a variety of important data such as the date the asset was acquired, the cost of the asset the make and model, warranty expiration date and more. But nothing is more important than the ability to use real data of repair history to help you in your management and capital planning expenditures for years to come. A good Asset Management system will bring significant ROI - Return on Investment to your organization in so many ways. What Is a Good Asset Tracking System? The decision of whether to repair or replace a piece of equipment or machinery becomes easier when you use a Computerized Maintenance Management System (CMMS). A CMMS maintenance software has all the asset tracking features you need. It allows you to review the amount of repairs that have been made on a piece of equipment to see if the costs are outweighing the price of a new piece of machinery or equipment. With the life expectancy part of CMMS, you are able to gauge how long your equipment will be in use and more easily see what is best for you. Check out our best-in-class CMMS Pricing here. If you’re interested in getting a CMMS maintenance for your facility, the best option is to get a free, live demo of the software to understand how it can best work for you. Or, if you already know you want to jump right in and start using the software, you can get a free quote here.